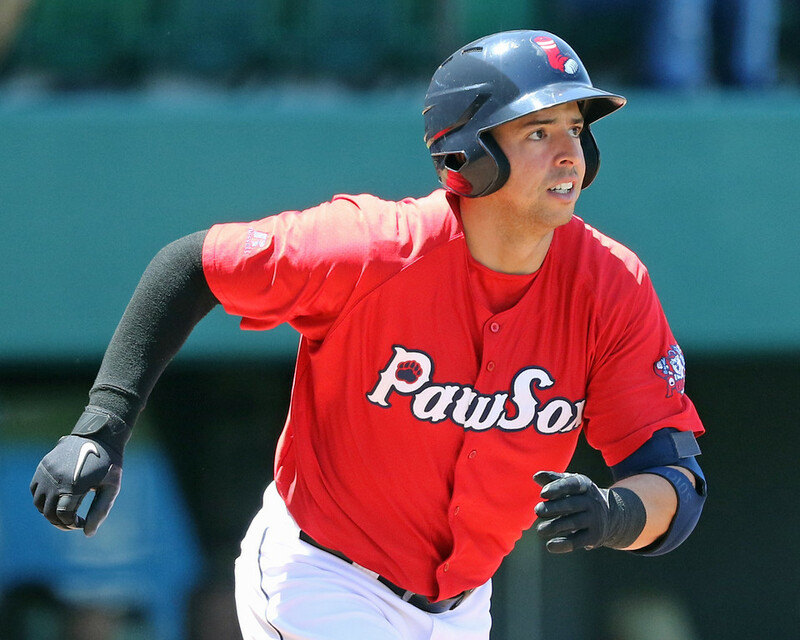 Two Pawtucket Red Sox who have joined the organization as minor league free agents in the past 12 months, first baseman/outfielder Chris Marrero (pictured) and right-handed pitcher Sean O’Sullivan, will represent the International League at the Triple-A All-Star game on July 13 in Charlotte, North Carolina. 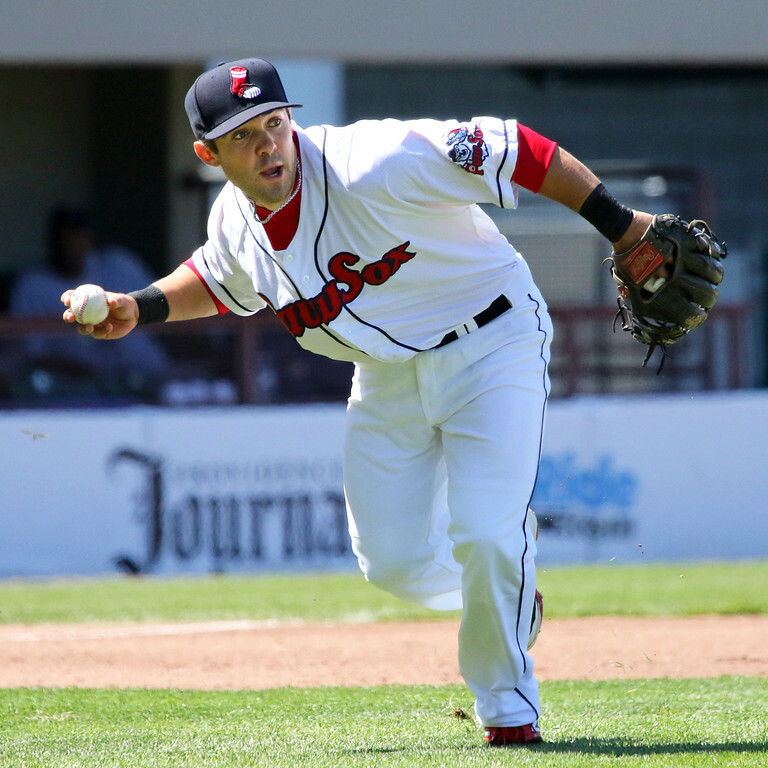 Marrero, who is cousins with the system's 17th-ranked prospect on the SoxProspects.com rankings, shortstop Deven Marrero, signed with the organization as a minor league free agent last August and re-upped during the offseason. 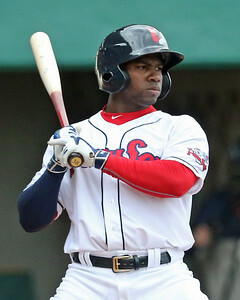 He has been Pawtucket's best hitter this year, leading the club in hits, home runs, runs, and RBI. His slash line of .278/.334/.467 has him on pace for his best OPS season since 2011, when he was a prospect in the Washington Nationals system. Marrero was named SoxProspects.com Player of the Week in the first week of May, and 2016 marks his fourth selection to a minor league all-star team. He spent most of his career, from 2006-2013, in the Nationals organization, then had short stints with the Orioles and White Sox organizations before signing with the Red Sox. He has played in 39 career major league games--those coming in 2011 and 2013--notching 133 plate appearances and hitting .232/.256/.272. LOWELL, Mass. 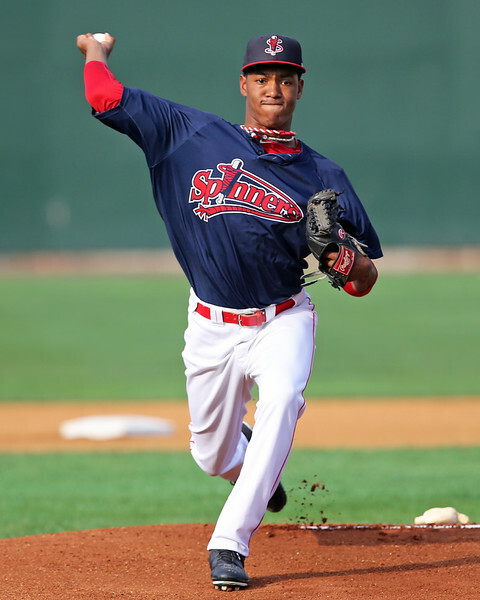 – The Spinners’ opening week was a great chance to see several of the young, intriguing players in the system, many in their first taste of “real” professional baseball outside of the complex leagues (the GCL and DSL for the Sox). 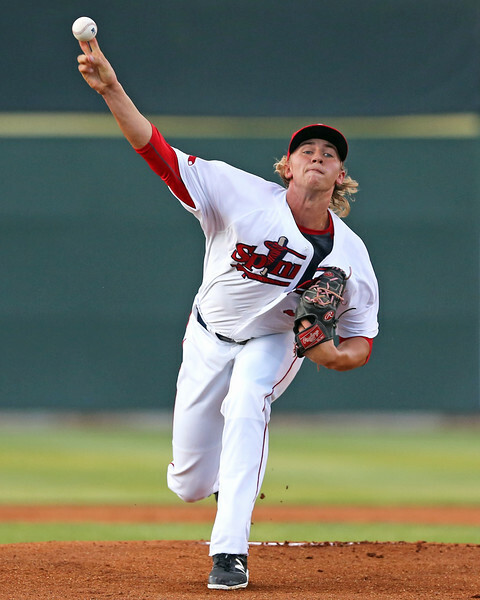 Last week, I posted reports on Michael Kopech’s start on opening night, as well as notes on five more Lowell pitchers. 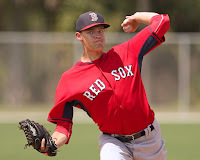 Here are scouting notes and video of three other members of the Lowell pitching staff, all of whom touched at least 95 mph and showed improvement from looks during Spring Training this year and/or the Fall Instructional League last year. - Starting the second game of the season, 19-year-old right-hander Josh Pennington was perfect for three innings, with six strikeouts, before running into trouble his second time through the order. 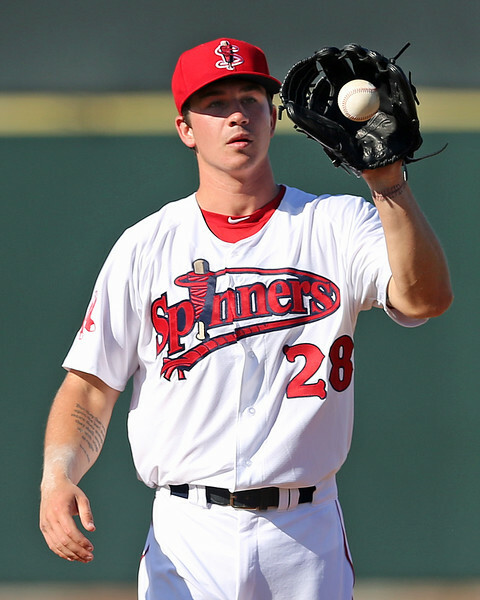 Pennington, a 2014 29th-round pick, signed for only $90,000 after tearing his UCL just two games into his senior season, leading to Tommy John surgery immediately after he signed. He is undersized, listed at 6-foot-0, 185 pounds, but his body does have some projection as he matures and gets stronger. He is a solid athlete with a live, quick arm. Pennington works from the third base side of the rubber and comes directly over the top. His delivery has some effort in it and his arm action is on the long side with a slight stab in back. He did a good job repeating his delivery from the windup in this outing, but struggled somewhat to do so when in the stretch. Cup of Coffee 6/26: It was a successful night on the farm as Red Sox affiliates took home wins in six of nine games. Anderson Espinoza threw 4 2/3 innings of one-run ball for the Drive while Sean O'Sullivan (pictured) and Daniel McGrath dominated for Pawtucket and Salem, respectively. The key offensive standouts were Pawtucket's Henry Ramos and Lowell's Tucker Tubbs, who were each 3 for 4 with a home run and 4 RBI. 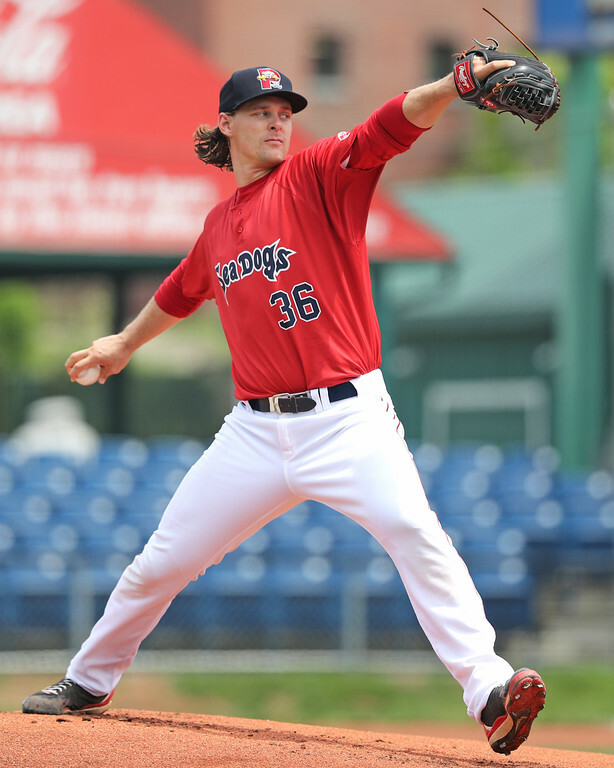 Starting pitcher Sean O'Sullivan dominated in Pawtucket's win on Saturday night. The 28-year-old righty threw seven shutout innings, allowing four hits and no walks while punching out six. He was followed by Roman Mendez, who pitched a scoreless eighth and then allowed three in the ninth, striking out four in his two innings of work. The PawSox offense got rolling in the third inning when Brock Holt, who is 5 for 15 on his rehab assignment, scored Rusney Castillo with a single. Henry Ramos was in the middle of the action for Pawtucket's lineup, notching RBI singles in the fourth and seventh innings and driving a two-run homer in the sixth. In total, he was 3 for 4 with a homer and four RBI in a huge night for the right fielder. Castillo was 2 for 4 with a double and a pair of runs scored. 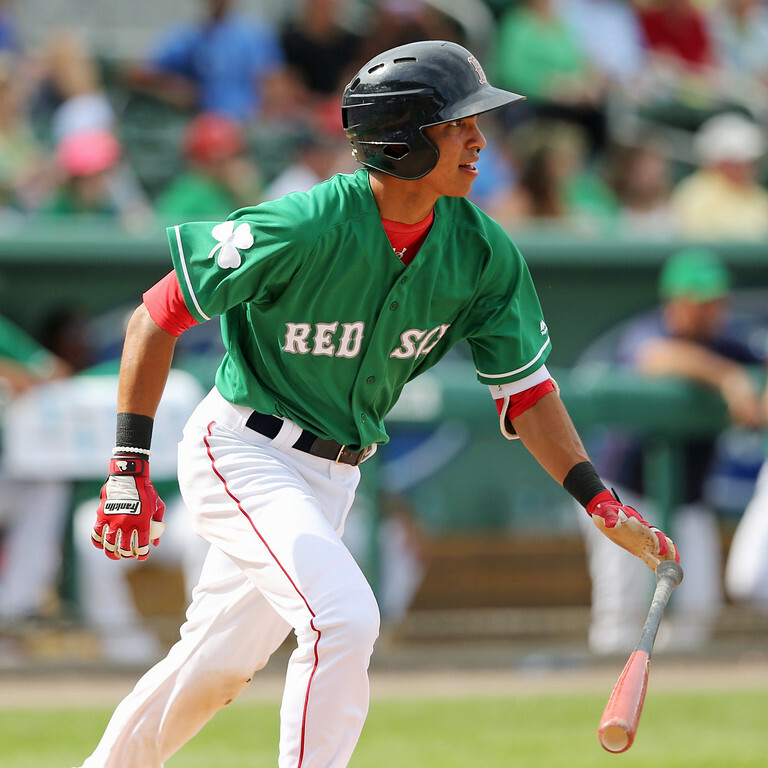 SoxProspects.com Executive Editor Chris Hatfield is reporting that shortstop Mauricio Dubon (pictured) has been promoted to Double-A Portland following his appearance in Tuesday's Carolina-California League All-Star Game. 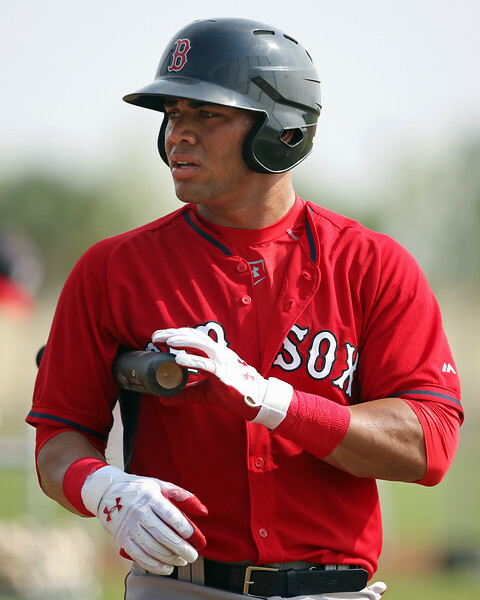 He will join the recently promoted Yoan Moncada as well as outfielder Andrew Benintendi who both had strong starts to the year at Salem with Dubon. 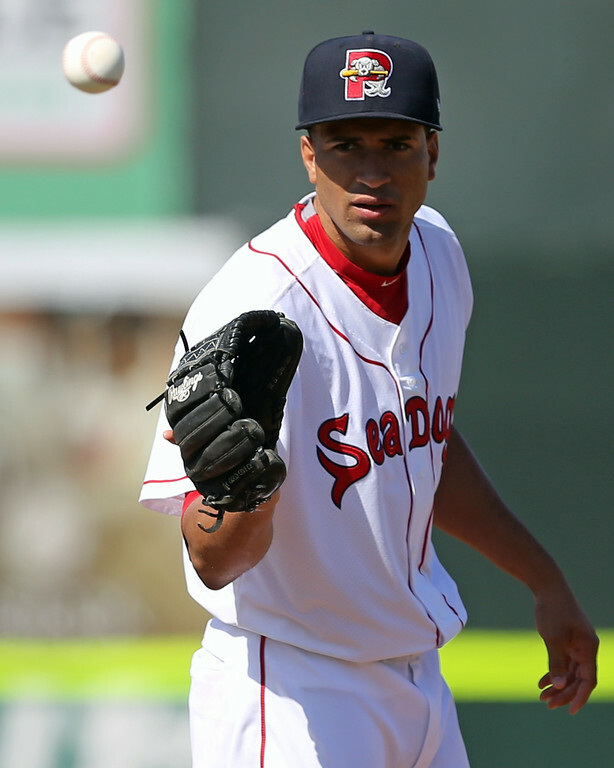 He becomes the fourth player to make the jump from Salem to Portland this week, joining Moncada, right-hander Ben Taylor, and left-hander Jalen Beeks, who is expected to also officially be called up today to start for the Sea Dogs. 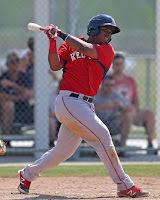 Now ranked the 12th best prospect in the system in the SoxProspects.com rankings (and likely poised to rise even higher in next week's rankings update), Dubon's stock has been on the rise since 2014 when he began putting up impressive numbers in Lowell. He finally broke into the top 20 in the rankings midway through last year, a season where he hit .288/.349/.376 with 30 steals split between Greenville and Salem. 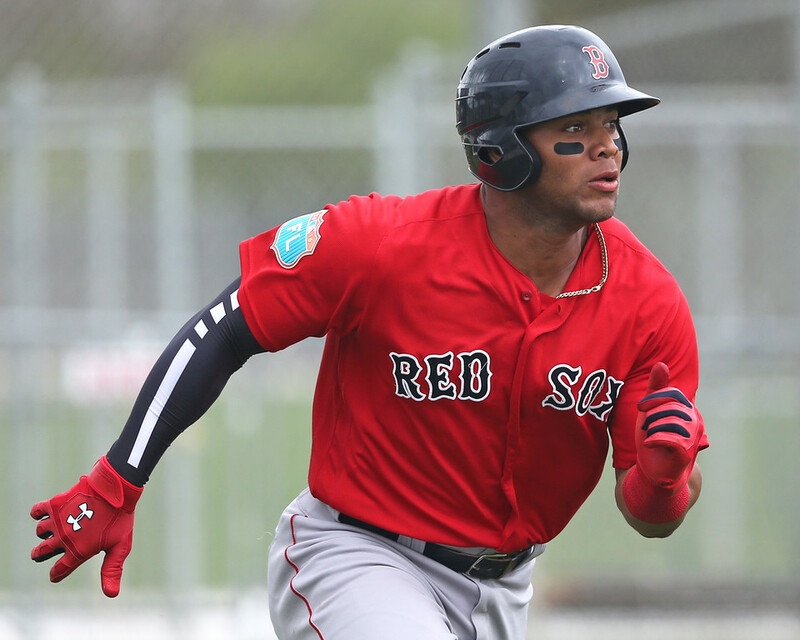 6/22 Cup of Coffee: It was a busy night down on the farm, but by far the biggest news was the Portland debut of top prospect Yoan Moncada, who helped the Sea Dogs to the victory. 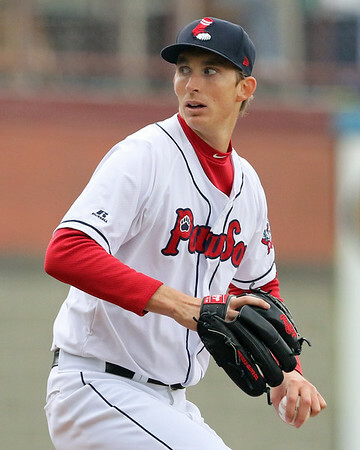 Pawtucket split its doubleheader, with Henry Owens (pictured, right) twirling a dominant one-hit shutout in the opener. Lowell continued its undefeated streak to kick off the season, winning its fifth straight. Mauricio Dubon represented Salem as the Carolina League All-Stars took on the California League's best, while seven members of the Greenville Drive got playing time in the South Atlantic League All-Star game. 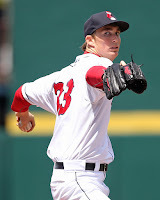 After a rough patch following his demotion from the majors, Henry Owens had been up and down in recent outings. 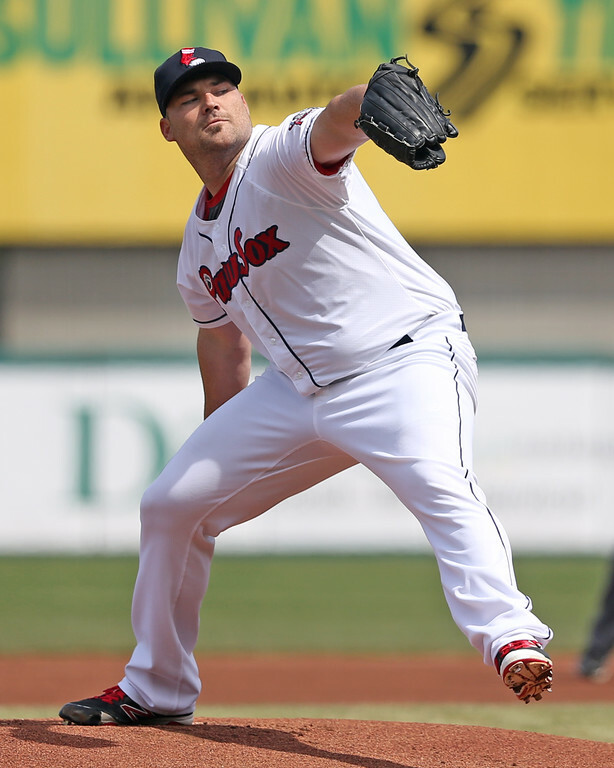 He made a definitive statement that he was back on track in the first game of Pawtucket's doubleheader, tossing a one-hit shutout over seven innings. He walked three and struck out five, lowering his ERA in four June starts to 2.01. 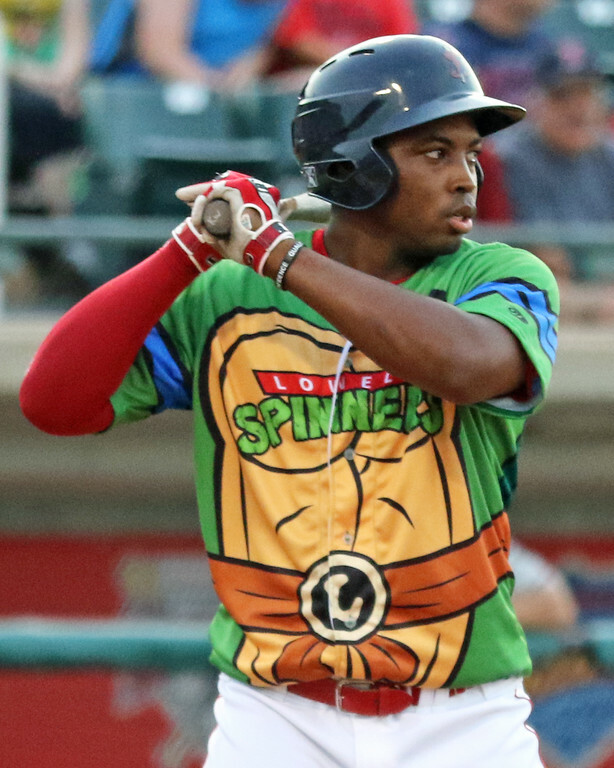 Justin Maxwell was responsible for the Pawtucket offense, scoring to break a 0-0 tie in the fourth, then driving in an insurance run with a double in the sixth. Overall, Maxwell was 2 for 2 with a walk. 6/21 Cup of Coffee: It was a bit of a quiet night on the farm as Portland had an off day while Salem and Greenville are at the All-Star break. 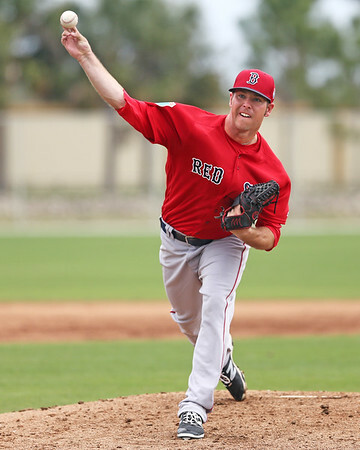 Brock Holt had a successful rehab appearance, Sean O'Sullivan (pictured) had his best start of the year, and Lowell came back to tie their game in the bottom of the ninth before winning it in extra innings. The second DSL squad won a pair of games yesterday, while the first squad blew a late lead as they dropped to 8-5. 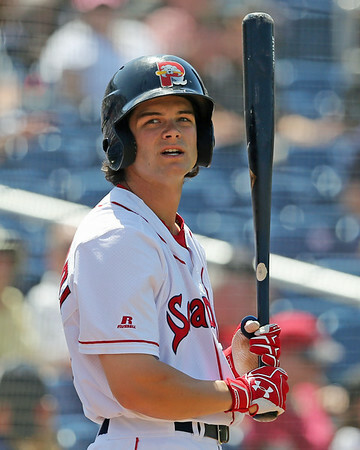 Brock Holt did not miss a beat in his first game since May 18, and Sean O'Sullivan stifled the Chiefs to lead the PawSox. O'Sullivan went the first eight innings, allowing one run on seven hits, striking out four without walking a batter. Kyle Martin picked up his fourth save with a scoreless ninth, and he now has 40 strikeouts in only 32 1/3 innings. Cup of Coffee 6/20: The Red Sox affiliates picked up a clean sweep Sunday, including three one-run victories. 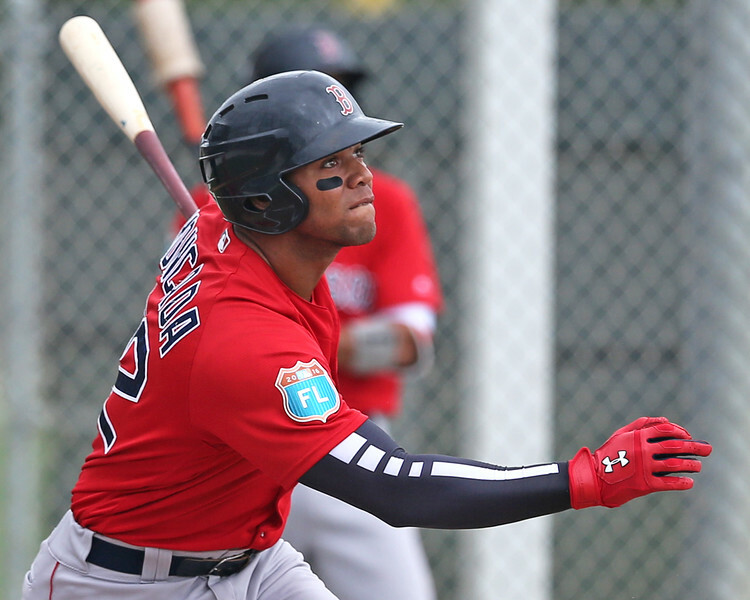 Pawtucket’s Justin Maxwell and Salem’s Yoan Moncada (pictured) delivered decisive hits for their respective clubs, while Greenville’s Dedgar Jimenez and Lowell’s Enmanuel De Jesus pitched their teams to victory. 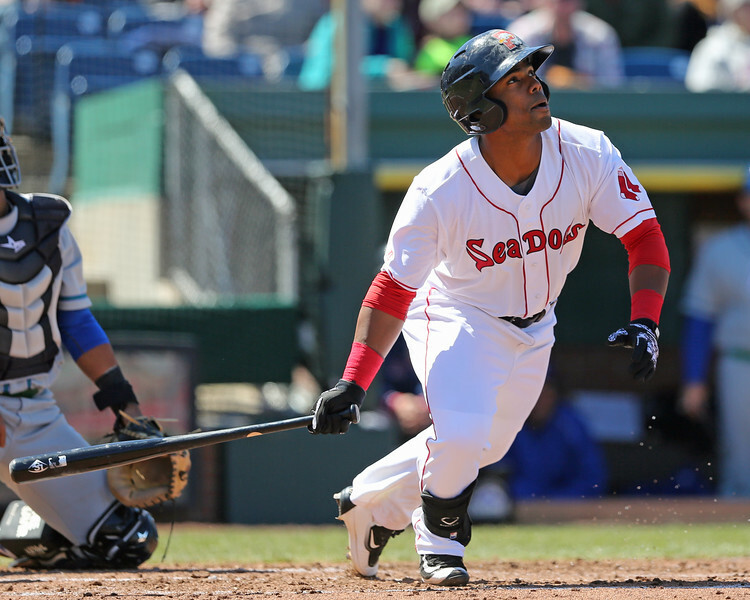 RBI hits off the bats of Chris Dominguez and Justin Maxwell keyed a late-innings comeback for the PawSox. Dominguez homered in the seventh to cut the Louisville lead to one, and Maxwell followed in the eighth with a two-run single to vault the PawSox ahead for good. Dominguez and Jantzen Witte lead the Pawtucket offense with two hits apiece, but eight of the nine batters in the lineup contributed hits to the effort. Bryce Brentz also blasted a home run, and Dan Butler doubled and walked. William Cuevas allowed four runs — only two earned — in 5 1/3 innings, but the bullpen slammed the door. Roman Mendez allowed only one hit in 2 2/3 innings before Pat Light picked up the save with a 1-2-3 ninth. 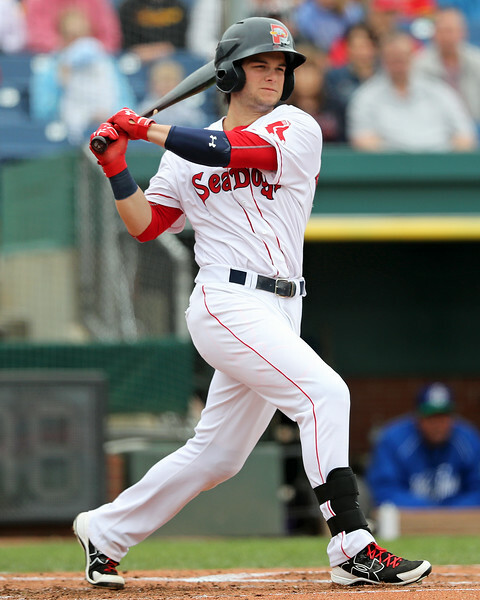 6/17 Cup of Coffee: It was mostly a night to forget for the Red Sox affiliates on Thursday as Pawtucket, Portland, and Salem were each held to one run and Greenville's game was postponed. 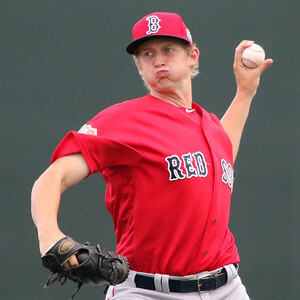 Henry Owens (pictured) took a step back with an inconsistent outing. The highlights came from the Caribbean as both DSL teams posted victories, including a wild comeback for the first DSL team led by catcher Eddy Reynoso. 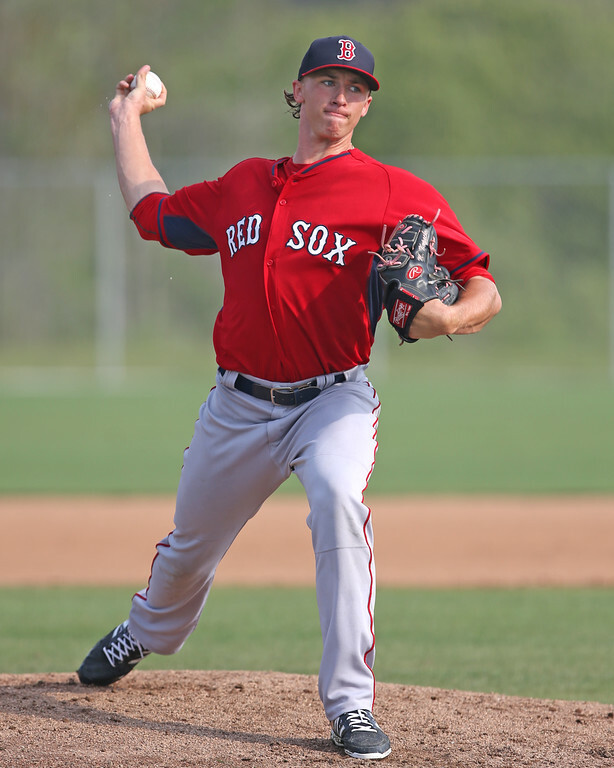 After two solid outings, Henry Owens took a step in the wrong direction, continuing his back and forth season. The 23-year-old lefty got bit by walks again, allowing six free passes in just four innings of work. He allowed five runs with three of them earned. However, the unearned runs came as a result of an error by Owens. He gave up five hits to go with his error and six free passes, while only striking out two. Pat Light and Wesley Wright combined to throw four scoreless innings out of the bullpen. The PawSox actually outhit Indianapolis, 8-6, but only one of those hits was of the extra-base variety - a double by Chris Marrero. And unlike their opponents, Pawtucket did not draw a single walk. The Red Sox signed sixth-round pick Steve Nogosek (pictured) on Wednesday; the signing was first reported by Chris Cotillo. Nogosek is a right-handed pitcher from the University of Oregon. The Red Sox selected him with the 178th overall pick. The deal is worth $250,000 and comes in slightly below the slot value of $281,100. Nogosek is coming off an excellent junior season at Oregon; he posted a 1.11 ERA and 45/14 strikeout-to-walk ratio in 40 2/3 innings pitched. He possesses a mid-90s fastball and mixes in a curve that has the potential to become a plus pitch. Entering the draft, Nogosek was ranked 164th by Baseball America, 177th by Perfect Game, and 175th by MLB.com. The Red Sox kicked off the 2016 amateur draft with a bang, selecting top high school pitcher Jason Groome with the 12th overall pick. While Groome was a talent they simply could not pass up, the team proceeded to focus primarily on collegiate players, including six seniors as they'll try to save funds on under-slot deals in order to sign their first rounder. The club's nine high school selections is up one from the 2015 draft, but still far lower than the 19 and 14 they selected in 2013 and 2014, respectively. Of the team's 40 total selections, 15 were ranked in the Baseball America Top 500, 17 in the Perfect Game Top 500, and 12 in the MLB.com Top 200 list. 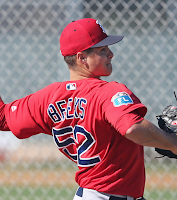 19 Red Sox selections appeared in at least one of the lists, three more than in 2015. With their seventh-round pick (208th overall) in the 2016 MLB First-Year Player Draft, the Red Sox selected Ryan Scott, an outfielder from the University of Arkansas at Little Rock. Scott was not ranked in the top 500 by Baseball America or Perfect Game USA, and the senior figures to sign a below-slot deal. Scott's .435 batting average currently leads Division I, with his season line sitting at an absurd .435/.516/.713 over 216 at-bats. That performance made him a Louisville Slugger First Team All-American, and the 6-foot-2 right-handed hitter was also named the Sun Belt Conference's Student-Athlete of the Year. Of his 94 hits this year, he tallied 20 doubles, 2 triples, and 12 home runs. His 66 career doubles are the most in program history. Despite living on the basepaths, Scott only stole seven bases in 12 attempts this year, so it does not appear that speed is a big part of his game. With their sixth-round pick (178th overall) in the 2016 MLB First-Year Player Draft, the Red Sox selected Steve Nogosek, a right-handed pitcher from the University of Oregon. Going into the draft, the Ducks' closer was ranked 164th by Baseball America and 175th by MLB.com. The college junior continues a trend for the Red Sox in this draft, as their first selection, Jason Groome, remains the only high school player they have selected to this point. Nogosek also continues a trend of Oregon closers being selected in the top ten rounds of the draft, a streak which stands at four years running. A two-sport athlete coming out of high school, Nogosek starred as a quarterback his senior year before committing to play baseball at Oregon. He did make some starts for the Ducks earlier in his career, but took over and thrived in the closer's role in 2016. 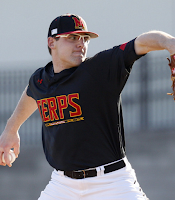 With their fifth-round pick (148th overall) in the 2016 MLB First-Year Player Draft, the Red Sox selected Mike Shawaryn, a right-handed pitcher from the University of Maryland. 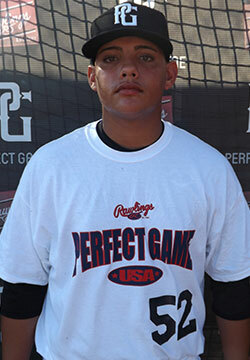 Shawaryn was ranked as the 77th-best prospect by Baseball America, 94th by Perfect Game USA, and 139th by MLB.com. Another college arm, the junior is Maryland's all-time wins (30) and strikeouts leader (307). After a dominant sophomore season, when he posted a 13-2 record with a 1.71 ERA, he took a bit of a step back in early 2016. According to Baseball America, his fastball velocity dipped into the mid-to-high 80s in March. He bounced back, and his fastball has been sitting at 90 to 94 miles per hour. He struck out 97 batters this season and walked just 26 in 99 innings. He has also tossed three complete games. With their fourth-round pick (118th overall) in the 2016 MLB First-Year Player Draft, the Red Sox have selected Bobby Dalbec, a third baseman from the University of Arizona. Dalbec was ranked as the 88th best prospect in the draft by MLB.com, 118th by Baseball America, and 112th by Perfect Game USA. Playing for the Orleans Firebirds last summer, Dalbec led the Cape Cod League in home runs, blasting 12 in only 27 games while batting .315. 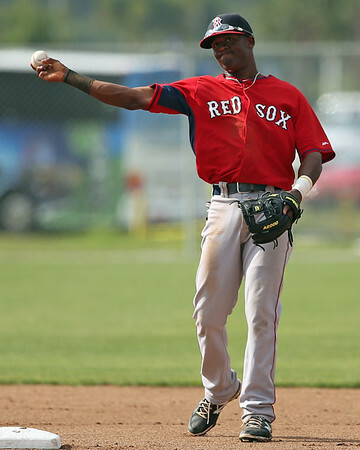 He also played for the USA Baseball Collegiate National Team, a team that the Red Sox have always scouted heavily. His success from the summer did not translate to his junior year at Arizona, as the 6-foot-4, right-handed hitter slashed .266/.378/.440 with six home runs and 76 strikeouts in 207 at-bats. With their third-round pick (88th overall) in the 2016 MLB First-Year Player Draft, the Red Sox have selected Shaun Anderson, a right-handed pitcher from the University of Florida. Anderson was ranked 151 in Baseball America's pre-draft rankings, and MLB.com had him at 140. Anderson has been the closer for the University of Florida, but that is more due to the depth of their system than his talent. He is amazingly already the fourth Gators pitcher taken in this year's draft after A.J. Puk (6th overall), Dane Dunning (29th), Logan Shore (47th), and if not for that depth, the 6-foot-4 junior would likely start for a majority of college programs. Last summer on the Cape, Anderson was able to give a taste of what he would be like in the rotation. Of the 8 games he pitched in, he started three of them, finishing the summer with a 4.09 ERA and a more impressive 0.82 WHIP with 15 strikeouts and 6 walks over 22 innings. Baseball America says that during that time, his fastball was sitting in the low 90s but his changeup and slider showed promise. The first day of the MLB first-year player draft has passed, with Red Sox picks Jason Groome and C.J. Chatham among the 77 players selected. Boston will have eight picks on Friday, beginning with the 88th selection. There are 20 players currently remaining on the board who are ranked in the top 70 of the Baseball America Top 500 and MLB.com Top 200. 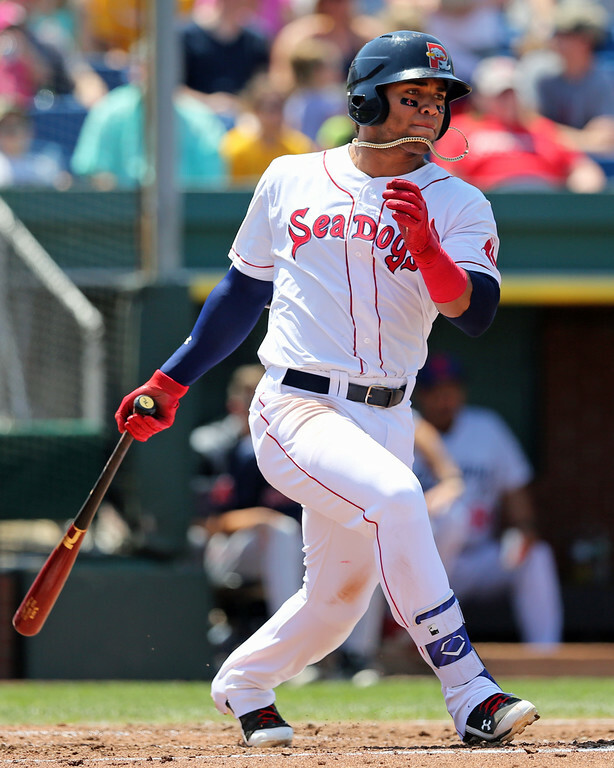 6/10 Cup of Coffee: It was a huge night at the plate for several Salem hitters, including Rafael Devers (pictured) and Mauricio Dubon, in a slugfest win. Both DSL squads came away with solid wins with the first DSL team getting a solid pitching performance and the second team winning on the strength of an eight-run fourth. Sean O'Sullivan turned in another strong performance as the PawSox held off a late rally for the win. Greenville was roughed up and Portland fell short after a late rally. Sean O'Sullivan was brilliant on the mound for the second straight outing, spinning eight-plus solid innings. O'Sullivan managed to strand six Toledo runners and was the beneficiary of a pair of key double plays. He attempted to finish the complete game but allowed the first two runners to reach in the top of the ninth. Kyle Martin allowed an inherited runner to score, but managed to induce a 1-6-3 double play to end the game and stranded the tying run on third. Deven Marrero went 2 for 3 with a run scored and Justin Maxwell drove in the eventual game-winning run with a sacrifice fly.